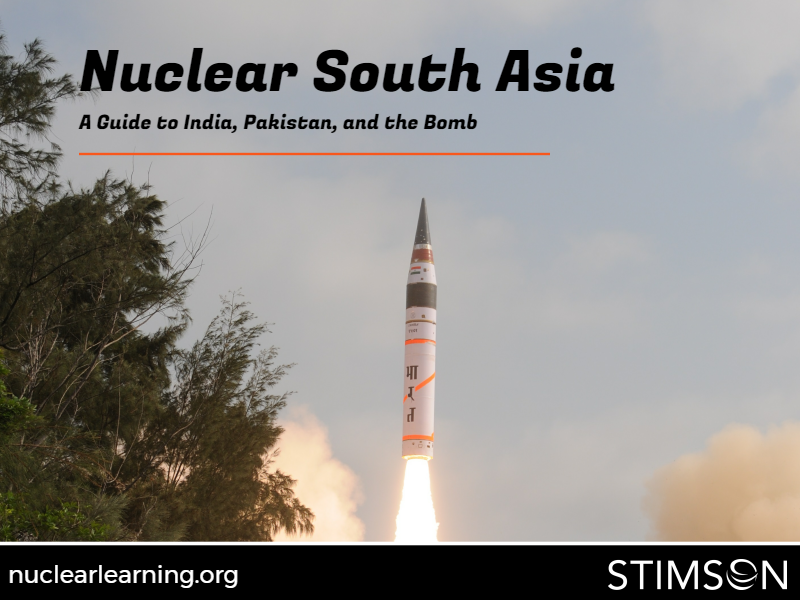 Nuclear South Asia: A Guide to India, Pakistan, and the Bomb is a free Stimson Open Online Course (SOOC). Nuclear South Asia provides the emerging generation of strategic analysts in India, Pakistan, and elsewhere with a platform to study nuclear competition and dangers on the Subcontinent. It is the most comprehensive and diverse set of perspectives regarding India and Pakistan’s nuclear trajectories available online. Enroll in Nuclear South Asia by navigating to nuclearlearning.org and clicking the "Enroll for free" button. Read step-by-step enrollment instructions. Nuclear South Asia features video lessons with more than 80 leading practitioners and scholars from India, Pakistan, and the United States. Read the full list of course lecturers. Nuclear South Asia is divided into seven chapters comprising 8.5 hours of video content. The course also includes recommended readings, multiple-choice quizzes, and a pass/fail final exam. Read more about the course content and structure. Students who complete the course requirements are eligible to receive a Stimson-issued certificate. Read more about the certificate option. "Like" our Facebook page and subscribe to our YouTube channel for regular updates on Nuclear South Asia.